PEOPLE! Are you off your rockers?? It’s just a freaking STORE fer crissakes! Grow up! The bloody thing will still be there next week! …HOOP SNAKES HAVE INFESTED OTTAWA! I knew that this day may come… but I did not imagine that it would be so soon… perhaps post-apocalypse… but not now! 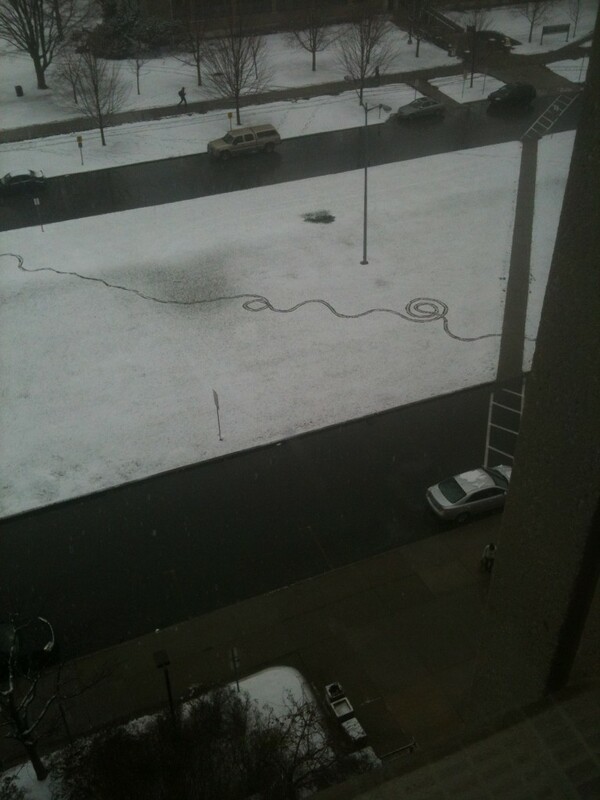 Seen from the window of my building… absolute PROOF of a deadly winter hoop snake. I’ll start watching for missing person reports… surely the beast took some unaware soul out for a walk in the snow this morning.